In 2018, Michael stepped into competitive open-wheel race car competition for the first time, hopping right into the most competitive series in the United States, the Mazda Road to Indy (MRTI) development program. 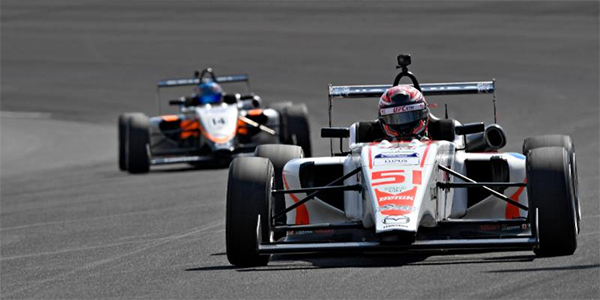 With very limited testing and no race car experience prior to the season kickoff, Michael piloted the #51 Team Benik machine in only four events for the entire year in the Cooper Tires USF2000 Championship series. But within those four short weekends, he made his mark in the top six. Team Benik was a new team in the MRTI with only three events experience in 2017. 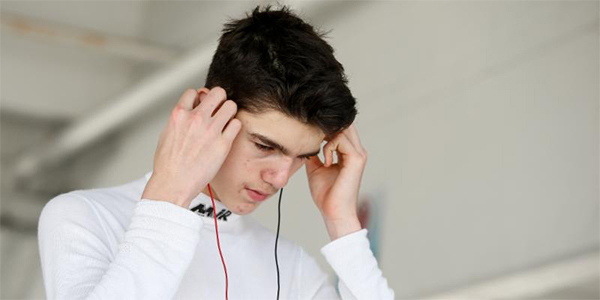 Michael felt a connection with the program right from the start after only two test days shortly before the 2018 season began, and the driver-team relationship grew stronger in every session thereafter. Michael debuted his USF2000 career at the Verizon IndyCar Series' season opener in St Petersburg, FL garnering much needed experience and dialing in a rookie race car. To add to the excitement of his race car debut, his second competitive experience found him at the legendary Indianapolis Motor Speedway. Talk about a dream come true! Between media sessions and Road to Indy TV driver spotlights and interviews, Michael learned lesson after lesson and gained critical experience on track. Although the lesson of a race-ending collision while running within the top-10 put a damper on results, the 16-year-old rookie showed promise in the Team Benik machine. In those two short event weekends, Michael quickly got more comfortable. Although he was forced to miss the oval event in Indianapolis, the street race at the Toronto Grand Prix and the final series event in Portland due to budget restraints, Michael finished his season at the Road America and Mid-Ohio race weekends with attention-grabbing performances and results in the top six. With the 2019 season on the horizon, plans for hopping back in the race car are currently underway. Michael and his d'Orlando Enterprises team are maintaining focus on building partnerships and extending their network to fulfill the budgets for competition. He continues to work off-track with his new 2018 partners at UFC Gym on his physical training, while also continuing to study track data and videos online, expanding his social media accounts and working toward honor roll in the classroom at Iona Preparatory School. So when that next opportunity comes again, he will be ready. He will be motivated. And he will make it count. For more information on Michael d’Orlando, and for opportunities to be a part of the development of this young talent, contact d’Orlando Enterprises’ management team at info@dorlandoracing.com or Rickard Franchini of Italsport at italsport@live.se. Follow Michael on social media at Instagram (michael_dorlando51 and dorlandoracing), Facebook (Michael d’Orlando Racing) and Twitter (dorlandoracing).